This adorable little stuffed bison from Wild Republic's Hug'ems collection is ready to roam the world with you on all your imaginative adventures. 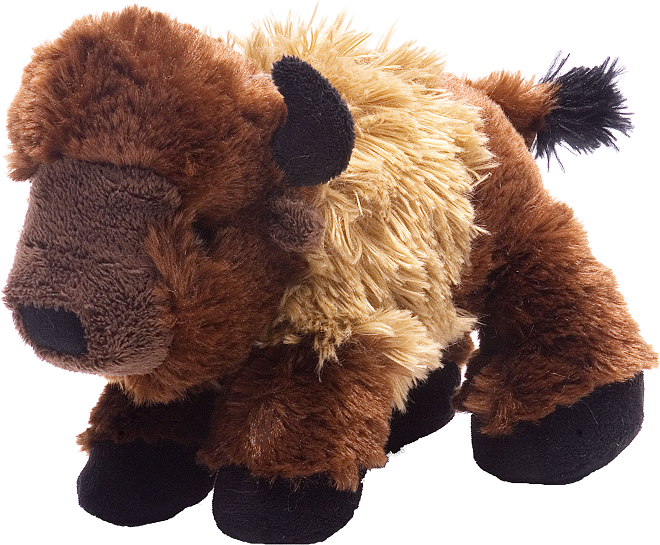 With soft brown fur, shaggy light brown shoulders, dark brown face, black nose, hooves, tail tuft, and fun horns, this plush buffalo has a huggable body and sweet brown eyes. 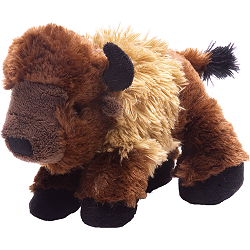 This cuddly bison stuffed animal is understuffed so it can stand sit, or lay down, and was designed with nature and education in mind. Fun facts about Bison: Did you know that bison, which are know for their extremely large stature, are currently the largest mammal in North America?